A native of Daytona Beach, Kelly Parsons Kwiatek is a commercial litigator, Board Certified by the Florida Bar in labor and employment law. Ms. Kwiatek represents many of Volusia County's universities and businesses in all matters of employment law. Specifically, she represents employers in managing employee relations, from the negotiation and preparation of employment contracts to the litigation of federal and state antidiscrimination and retaliation claims, including the Florida Civil Rights Act, Title VII, the Americans with Disabilities Act, the Age Discrimination in Employment Act, and the Fair Labor Standards Act. She also regularly enforces and defends contracts in restraint of trade, advises clients on their day-to-day operations related to employment law and handles appeals. 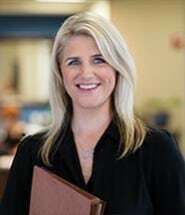 Ms. Kwiatek is an active leader in Daytona Beach serving as the Chair of the Board of Directors of Easterseals of Northeast Central Florida, as well as Legal Counsel for the Daytona Regional Chamber of Commerce. Ms. Kwiatek is on the Board of Directors of the Volusia/Flagler YMCA and is a member of the Halifax Area Civic League, and also serves on the Nuisance Abatement Board for the City of Daytona Beach. Ms. Kwiatek holds an AV rating, the highest rating obtainable by an attorney from Martindale-Hubbell, and has been selected as a Florida Super Lawyer's Rising Star every year since 2012.